You’ll notice that the connecting wires are thin and a little fragile looking. Also – because of the way that the 1/4″ cables I use pull of the breakout cable – I feel like it’s adding additional tension to the wires. In short, it made me a little nervous in live use. 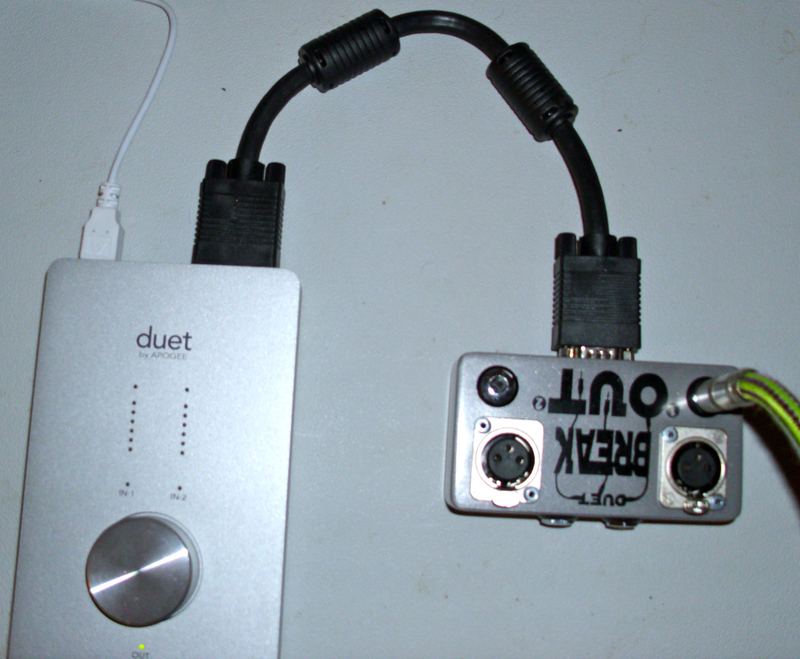 Then I found out about the Duet Break Out Box – which mounts all of the cable’s into a single metal box with a rugged high quality cable attached and decided to give it a try. 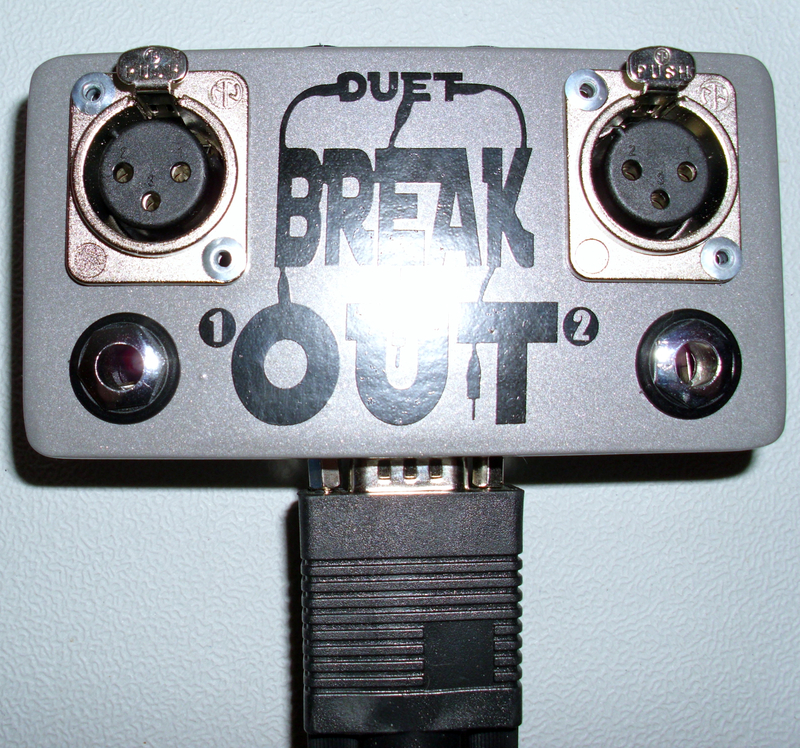 There are 2 versions of the Duet Breakout Box (both are 100% passive and line level). I’m using the unbalanced box – as I’m not sending signal over long cables – but the price difference is $99 versus The Breakout Balanced – which will run you $215 or so. Sonically, I don’t hear a difference between the breakout cable and the breakout box -which is a good thing – the selling point of the unit is it’s ruggedness. The box is solid, well constructed and can definitely handle a live gig. The enclosed cable is about a foot long – so you may want to invest in a longer cable eventually – but for my purposes this works fine. Do you need this unit? 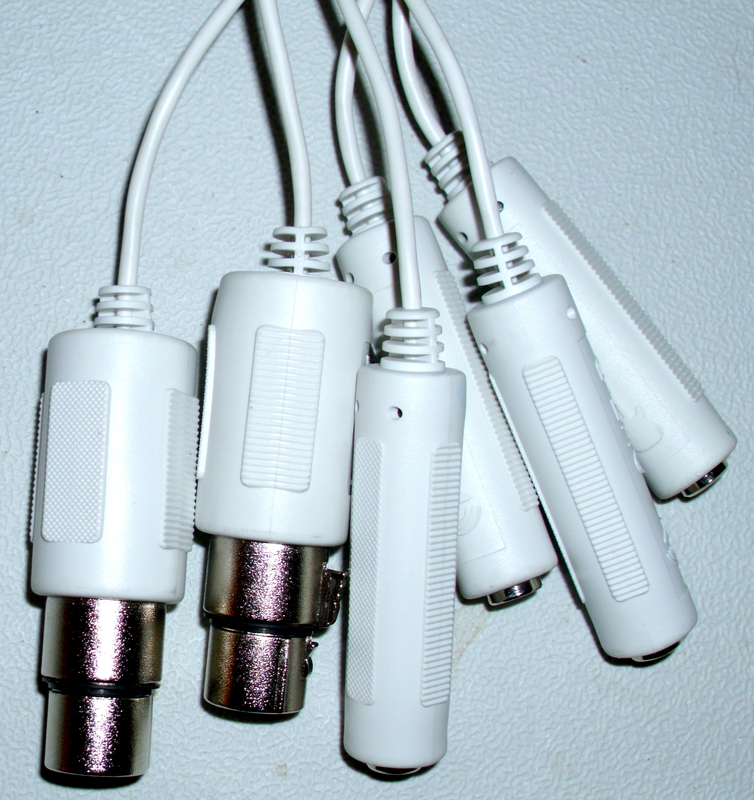 If you’re doing mostly studio or home work you can probably get by with your existing cable fine. But if you are planning on using the unit live – this is a worthwhile investment. This entry was posted in Gear, Laptop Guitar, reviews and tagged ..., Apogee Break Out Box, Apogee Breakout Box, Apogee Duet, Laptop Guitar tutorial by GuitArchitecture. Bookmark the permalink.